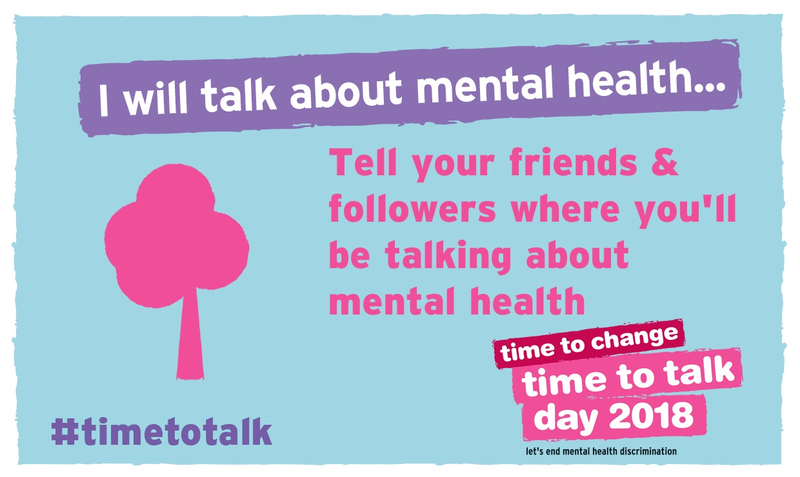 Today is 'Time to Talk Day 2018', a day dedicated to raising awareness of mental health and encouraging people to step forward and talk about their health, but it is also about helping those who know people who suffer with mental health issues actually know what to say to the person they care about! As usual, when I write a mental health related post, I will say this: please do not read this if you know it's not your thing. My thoughts behind writing such posts are purely to share my story, what helped/helps me (and therefore may be of some use to someone else) and, obviously and most importantly, to raise awareness and try to make a small ripple turn into a large wave, so that mental health sufferers don't feel so alone. BEFORE READING THIS PLEASE MAKE A NOTE OF THE SAMARITANS NUMBER WHICH IS FREE FROM ANY PHONE: 116 123. I am going to talk about a side of mental health that, in my opinion, isn't discussed enough, purely because it is hard to talk about, and that is suicidal thoughts, and I am going to stick with the theme of 'Time to Talk Day' and talk about why it is so bloody hard to tell to people when you're suffering with mental health issues, like suicidal thoughts, but I am going to do it from both sides of the fence because I have been the person with the mental health problem and the person wanting to talk to someone with a mental health issues and, let me tell you, neither is easy! Let me start with the perspective of the sufferer and follow it up with what you can do to help or what you can say from an outsiders perspective. A lot of the time we don't tell people about our really bad days, which sometimes can cause our loved ones to get frustrated, upset or angry. People often say 'why didn't you tell me?' and, from my point of view the answer is very simple: I didn't know how. You see, for me, when I am in one of my darkest places (i.e I am feeling suicidal), I am a mess of emotions. I am aggitated and uncomfortable in my own head, exhausted and in pain; I feel like I want to pace around the room, striking out physically but at the same time I want to sleep. The contrast of feeling deep, dark depression along with anxiety is torturous to anyone who has experienced it. The only people I will generally tell about my current state of mind are people who I know have experienced it themselves because you don't have to give them details, you don't have to explain the agony, you can just say something very basic and they 'get it'. Never shy away from or judge someone who is brave enough to tell you they feel like they are a danger to themselves; it takes a lot for anyone to say the words 'I feel like I don't want to be here anymore', so take it seriously. If someone is acting out of character then don't be afraid to ask them how they are. For me, a big sign is that I will withdraw or seem withdrawn from things and am usually right on the verge of tears at all times. For others it could be that they become uncharacteristically angry or agressive. If you are concerned take them to the doctors, hospital or call the Samaritans for some advice, please don't leave them alone if you are concerned. If you or someone you know if showing signs please seek medical help or call the Samaritans free on 116 123. For advice surrounding other mental health issues and ways to help people talk about them, or to help you understand more about what a sufferer is going through, the Time to Talk webpage has some really great resources, so just click right here to head to the site. You guys know that I will always do posts about mental health as it is something that has been a part of my life for so many years (since around the age of 14, and I am 37 this month, so I feel slightly qualified to talk about it now!). I do think things have got better and people are more open to discussions about it, but I also think that, as a whole, many people will put us all under one umbrella of the 'worst case scenario' (whatever that is in their heads or something they have seen in a movie about a mental health sufferer). One of the important things to note and be mindful of, is that it could be the confident looking woman you see everyday in the office, or that guy that always jokes about at the gym; many of 'us' are way too good at covering up the bad days for fear of other peoples reactions, and will only let it all out in the privacy of our own safe places. Time to Talk Day is important as it brings the awareness to the surface and reminds all of us to open up and ask a really simple (yet possible life saving) question: 'how are you today? '.